Full knowledge of supplements is always important in reaching you fitness and weight loss goals. Check out these posts and helpful interviews. Sam here from Fitness Concepts. Wouldn’t be nice to lose weight during the Holidays while others are gaining. If you said YES then please keep reading. 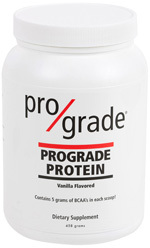 Prograde Nutrition has done it again! Ya know, there’s a good reason I partner with them. They bring you the best nutrition education possible absolutely FREE! Their Holiday Survival Guide webinar reveals ten simple strategies to help you get through the holidays unscathed. In fact, when you use this easy-to-follow system you can actually LOSE 5 pounds during the holidays! They’ve even included a handy scoring sheet you can print off to make your life even easier. Hey, why gain 5 pounds this holiday season when you can LOSE 5?? PS – Because this system will be even easier if you do it with a buddy, I urge you to forward this to friends and family members so you can team up with them. In 2008 a study conducted at the University of Illinois studied the interaction of 2 diets (high protein, reduced carbohydrates vs low protein, high carbohydrates) with exercise on body composition and blood lipids in women during weight loss. A cold-processed protein powder that also contains plenty of Branched Chain Amino Acids particularly Leucine is what you want to look for so that you can benefit from the lean muscle growth, increased metabolism, and accelerated fat loss. Make sure it is cold-processed protein because many cheaperprotein powdersuse heat in their processing methods. What this does is damage the fragile protein molecule and make the protein molecule less active and functional. Essentially you get protein that is not as effective as it could be. It’s recommended that we eat 6-10 fruits and vegetables a day. Here in the States it is reported the actual average of fruits and veggies eaten each day is just 2. Be sure to use these tips and comment below with some of your own tips. One of the best ways to improve your body composition is by increasing lean muscle tone. When it comes to increasing muscle tone resistance exercise is the undisputed king. It’s well-known that people who challenge their bodies with resistance exercises have more muscle than those who only use light weights and easy exercises. And, depending on the diet and other daily activities, these people often have less body fat.Challenging resistance exercises improves your body composition by stimulating muscle protein synthesis pathways and enhancing fat oxidation (burning) for several hours after your exercise session has completed. Scientific studies have shown us that certain foods can enhance the amount of fat burned for energy several hours after the weight lifting session is over, and increase the amount of muscle synthesized. Specifically, whey protein has been shown in many different scientific studies to increase muscle protein synthesis when take both before and after heavy resistance exercise. The best time to take whey protein for this effect is within 30 minutes before and 30 minutes after. Recently, researchers from Michigan State University showed that when a whey protein supplement was taken before a heavy weight lifting session, resting energy expenditure (REE) was significantly elevated for 24 hours compared to a carbohydrate-only supplement. REE is an important measure of the amount of calories you burn in one day and accounts for about 60-75% of your total daily energy expenditure. Thus, if you have a higher REE, you will burn more calories in the day and store less of them as body fat. The whey protein supplement delivered important amino acids to muscle tissue during the exercise session which were used to enhance muscle protein synthesis for several hours after the exercises were over. These amino acids help speed muscle recovery and prevent excessive muscle soreness so you can lift heavy and hard again the next day. Overall, if you’re looking to increase the amount of calories you burn after resistance exercise, which helps you build more muscle and lose more body fat, whey protein is the right way to fuel your body post-workout. Take whey protein within 30 minutes before and after exercise for the best effect and watch those fat cells run away in fear.